As more wind and solar energy comes online, the people who run the power grid have a problem: how do they compensate for the variable nature of the sun and wind? California plans to spend billions of dollars for batteries to even out the flow of power from solar and wind, much the way shock absorbers smooth out bumps on the road. But do they need to? Not at all! In my research, I’ve found that we can accommodate a grid powered 50% by renewable energy without the use of batteries. Systems flexible enough to accommodate the ups and downs of solar and wind production can be made by adjusting the power at millions of homes and businesses on a minute-by-minute or even second-by-second basis. This approach requires no new hardware, some control software and a bit of consumer engagement. Already, electric power procured from the wind or sun is leading to large and small “bumps” in the energy fed to the grid. 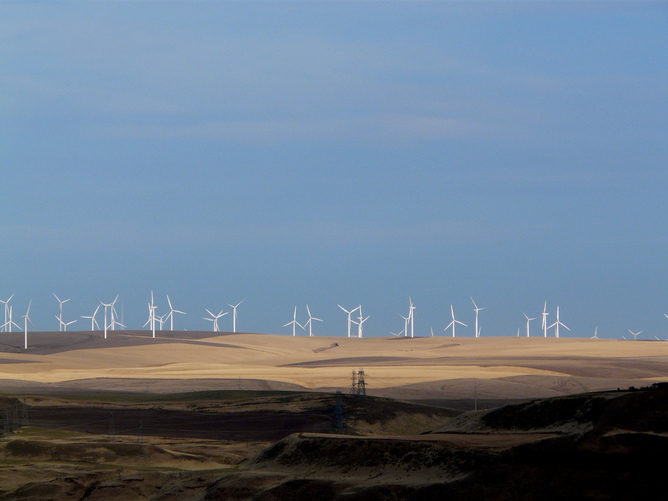 For example, on a typical week in the Pacific Northwest, power can increase or decrease by more than one gigawatt in an hour. That’s the equivalent of the output from one huge nuclear power plant able to supply a million homes. Look at the green line. Wind power generation is volatile and not always in sync with the actual demand for power (red line, below the blue). This is an enormous challenge to grid operators in this region. Massive fluctuations in power require equally massive storage devices that can charge when the wind is blowing, and discharge during periods of calm. 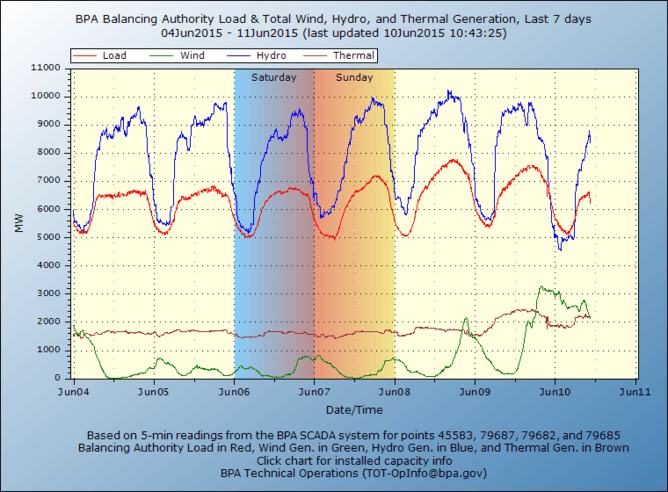 Now, the balance of supply and demand for power is primarily done by generating more power rather than storage. Grid operators draw on what is called the balancing reserves obtained from fossil fuel generators or hydro plants, when available. These power plants ramp up and down their output in response to a signal from a grid balancing authority. This is just one of many ancillary services required to maintain a reliable grid. Many states are now scrambling to find new sources of ancillary services, and the federal government is also searching for incentives: Federal Energy Regulatory Commission (FERC) orders 745, 755 and 784 are recent responses by a government agency to create financial incentives for responsive resources to balance the grid. Storage is everywhere, but we have to think beyond electricity. Consider a large office building. Will anyone notice if the fan power is reduced or increased by 10% for 10 or 15 minutes? This makes no demands on the comfort of occupants of the building, but the resulting deviations in power can provide a substantial portion of the needs of the grid. A building can be regarded as a virtual battery because of thermal inertia – a form of thermal storage. What about for longer time periods? 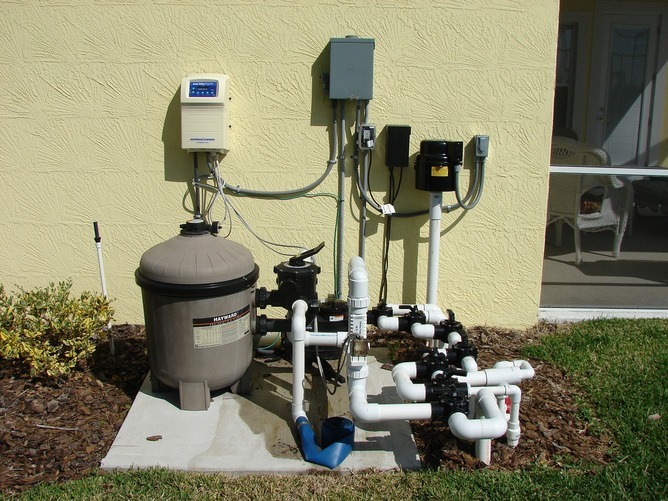 Residential pool pumps (as well as pumps used in irrigation) are a significant load in Florida and California – well over one gigawatt in each state – that can be run at different times of the day. Turning down, or turning on, many of these = enough power smooth out solar and wind, while still cleaning the pool. Through local intelligence – in the form of a chip on each device or a home computer for many devices – the collection of one million pools in Florida can be harnessed as massive batteries. Through one-way communication, each pool will receive a regulation signal from the grid operator. The pool will change state from on to off based on its own requirements, such as recent cleaning hours, along with the needs of the grid. Just as in the office building, each consumer will be assured of desired service. Pools are, of course, just one example of a hungry but flexible load. On-off loads such as water pumps, refrigerators or water heaters require a special kind of intelligence so that they can accurately erase the variability created from renewable generation. Randomization is key to success: To avoid synchronization (we don’t want every pool to switch off at once), the local intelligence includes a specially designed “coin-flip”; each load turns on or off with some probability that depends on its own environment as well as the state of the grid. It is possible to obtain highly reliable ancillary service to the grid, while maintaining strict bounds on the quality of service delivered by each load. With a smart thermostat, for example, indoor temperature will not deviate by more than one degree if this constraint is desired. Refrigerators will remain cool and reliable, and pools will be free of algae. We first must respect the amazing robustness of the grid today. This is the result of ingenious control engineering, much like the automatic control theory that brought the first human to the moon and makes our airplanes so reliable today. We cannot pretend that we can transform the grid without partnering with the control and power engineers who understand the mysterious dynamics of the grid. Instabilities and blackouts occur when we are too aggressive in attempting to balance supply and demand, just as they occur when we are too slow to respond. We are certain that the engineering challenges will be largely solved in the upcoming years – it is an exciting time for power! “Intelligent” loads, or devices with controllers, can balance supply and demand of power along with generators and batteries. The next challenge is participation. Today, about 750,000 homeowners in Florida have signed contracts with utility Florida Power & Light, allowing them to shut down pool pumps and water heaters in case of emergencies. How can we expand on these contracts to engage millions of homeowners and commercial building operators to supply the virtual storage needed? Recent FERC rules that offer payments for ancillary services for balancing the grid are a valuable first step in providing incentives. It is possible that little incentive is required since we are not subjecting consumers to any loss of comfort: it is the pool or fridge that provides flexibility, and not the homeowner. A sustainable energy future is possible and inexpensive with a bit of intelligence and flexibility from our appliances. Sean Meyn is Professor of Electrical and Computer Engineering at University of Florida.